"Very impressed, covered everything I needed to know. Now I just need to practice to make sure I don't forget." 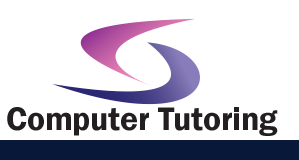 "Very informative, I enjoyed the hands-on approach"
"Excellent course, 1 to 1 training is the way forward... trainer was incredibly knowledgeable & accommodating. There wasn't a single question he couldn't answer, I would recommend this course to others"
You will use Adobe Illustrator CS5 to create illustrations that include graphics and text. After this training day students will be able to get acquainted with the Adobe Illustrator CS5 application; create shapes in a document; create custom paths; work with text in an Illustrator document; work with objects; enhance documents; proof documents to make them more accurate and save images for web and print.